Cognitive impairment—problems with memory, focus, language, and the ability to multitask—affects millions of older people in the U.S. Many assume that these problems are a natural result of aging, but several studies have found that there are a number of lifestyle changes you can make that may lower your risk of cognitive impairment or slow its progression. In addition, many of these changes also have a positive effect on your cardiovascular health, lowering the risk of heart attack and stroke. There are several lifestyle changes that may lower your risk of developing cognitive impairment or may slow or, in some cases, reverse the progression of this condition. Talk with your physician to build a plan that addresses your personal risk factors, including your medical conditions and family history. Take part in regular physical activity: A number of studies have found that regular physical activity that combines strength and balance training and aerobic activity like walking, swimming, and biking not only reduced the risk of developing cognitive impairment, in some studies it also improved cognitive function. Older adults who took part in the most physical activity in one study had less atrophy (decrease in size) in their brains, more gray matter (the part of the brain that processes information), and less damage to the white matter (which helps the different regions of the brain connect). Follow a Mediterranean diet. There are a number of studies that have found links between a lower risk of cognitive impairment and dementia and closely following a Mediterranean diet. One study also linked this diet to a reduced risk of mild cognitive impairment progressing to Alzheimer’s disease. In addition to protecting the health of your brain, studies have also linked a Mediterranean diet to a lower risk of heart disease, high blood pressure, diabetes, and obesity. Manage diabetes and heart disease. If you’ve been diagnosed with diabetes, it’s important to get good control over your blood sugar levels. Researchers who reviewed more than 60 studies found that having diabetes increased the risk of developing Alzheimer’s disease and other forms of dementia in people with mild cognitive impairment. In contrast, they linked treating diabetes with a lower risk of developing Alzheimer’s compared to people with untreated diabetes. Controlling blood pressure and cholesterol has also been associated with a reduced risk of cognitive impairment and Alzheimer’s disease. Maintain a healthy weight. Some research has linked being overweight in middle age with an increased risk of developing cognitive impairment as you get older, so it’s important to reach and maintain a healthy weight throughout your life. On the other end of the spectrum researchers have found that older people who were underweight also had an increased risk of dementia, so getting adequate nutrition as you age is another way to lower your risk. If you choose to drink alcohol, do so in moderation and don’t smoke. Some studies have found that heavy alcohol use is linked to a progression to dementia in people with mild cognitive impairment. Researchers have also found an association between smoking and second-hand smoke and an increased risk of cognitive impairment. Continue your education and stay socially active. Taking formal or informal classes to learn new information or a new skill like speaking a foreign language or playing an instrument has been linked by some researchers to improved verbal memory and fluency as you age. 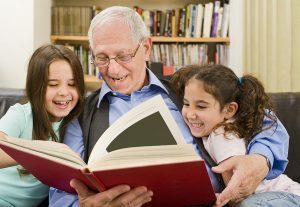 Remaining socially connected through work, volunteering, joining a club or activity group, such as a book club or travel group, helped protect against memory loss in some studies. Making healthy lifestyle changes now is a powerful proactive way to protect the health of your brain over the course of your lifetime.